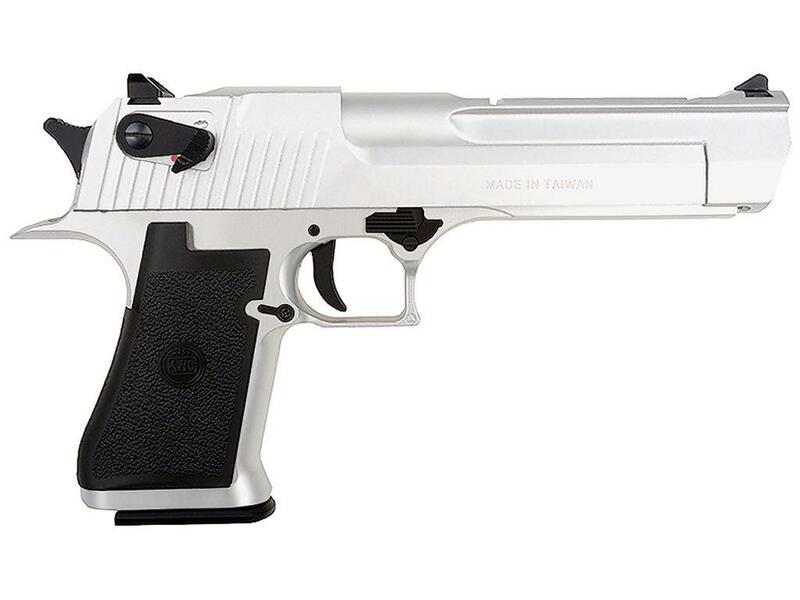 Buy Cheap KWC KCB-51ACIH .50 Desert Eagle Style Blowback Version Silver CO2 Airsoft Pistol|ReplicaAirguns.ca | Easter Weekend Sale! Trigger Pull: The trigger pull for the KWC blowback single action is very good. 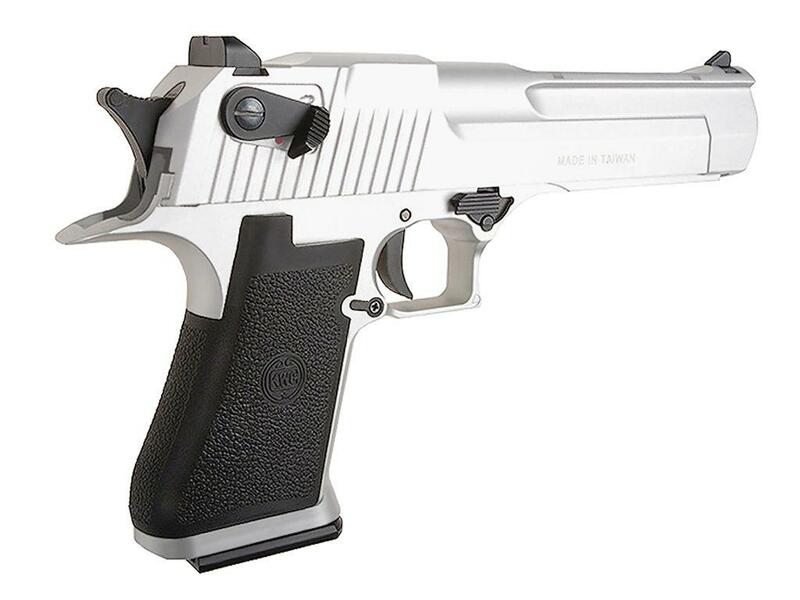 The Desert Eagle has less play and a light pull. Accuracy: I shot the gun from 20 feet out in semi rested position was able to place 10 rounds in a 2.5 to 3 inch group, well centered. I have full confidence that I could easily hit a man sized target from 50 feet away. It got right around 400 fps (5 shot average chrony testing). 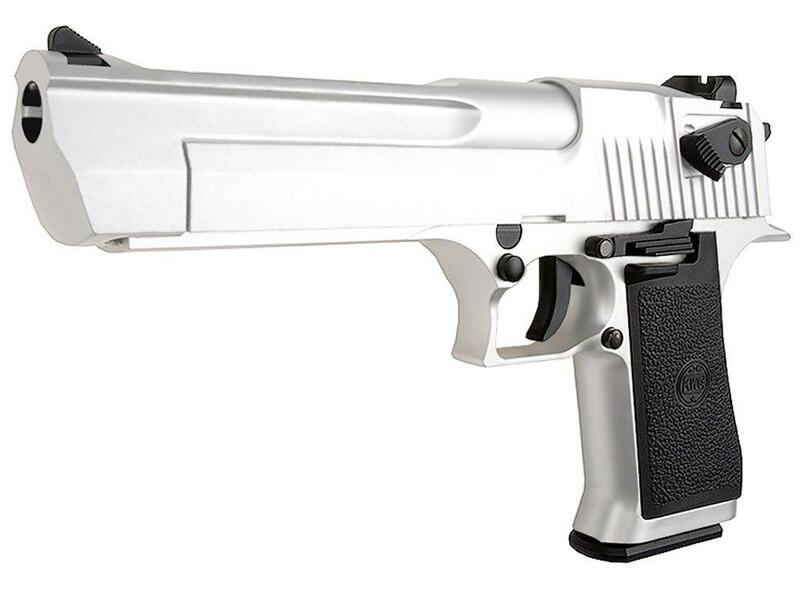 Build Quality: The KWC Desert Eagle .50 has a metal slide and barrel with a polymer frame and plastic grips. I found the metal on metal areas on the Desert Eagle where losing the paint and also in some of the high spots. Over all the gun worked very well and had good fit and finish. Realism: The KWC Desert Eagle .50 is an accurate replica of its real steel counterpart, with the full licensing on it for added authenticity. The workings are pretty much just like a real gun with a full size drop out magazine and very heavy full blowback operation. The slides gives a nice metallic sound when operating. Very believable replica of the real steel version. Paint wear in high spots noticeable. Comments:It's wonderful to get the KWC blowback Airsoft guns here in Canada finally and have the ability to review them for everyone. 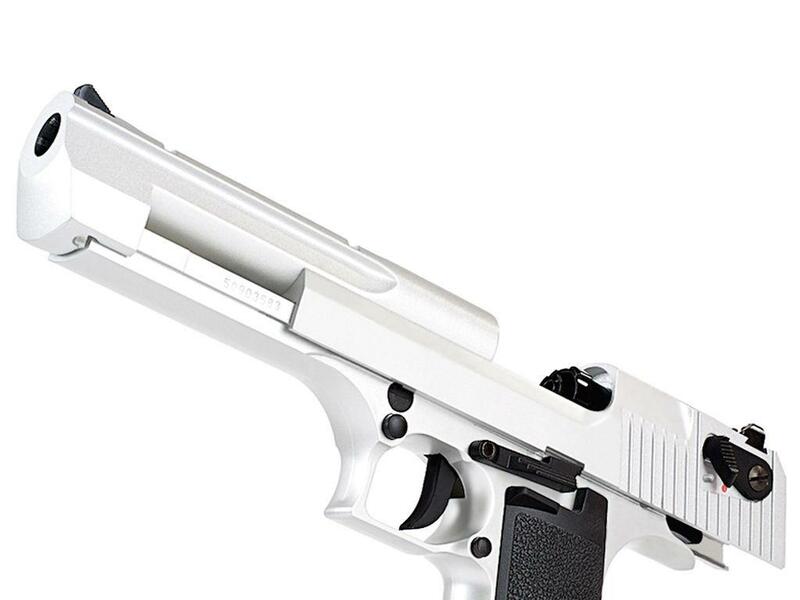 They remind me a lot of the 4.5mm Steel BB blowback pistols very much and this is probably because there are Airsoft versions of these guns also distributed by KWC. 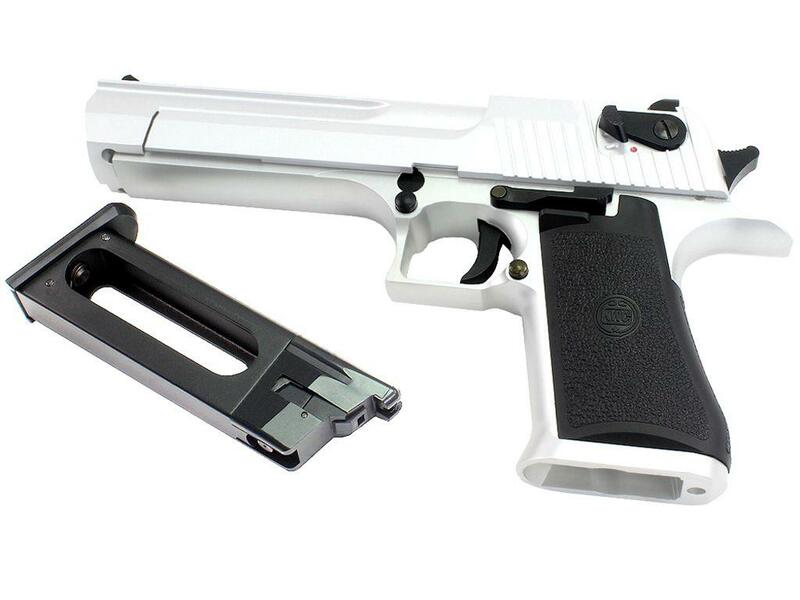 Whether you want one of these very nice Airsoft pistols for plinking and target practice or to use in battle on the Airsoft field, this would make a great choice. 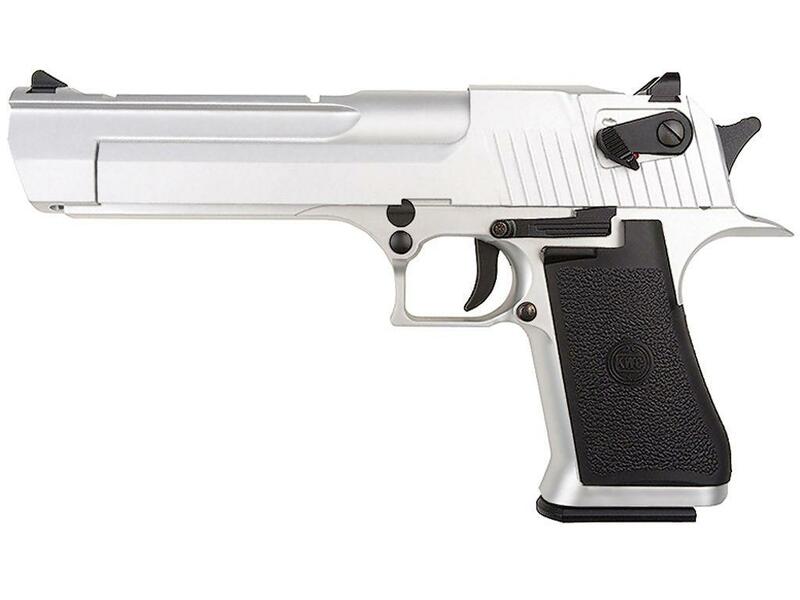 http://www.ReplicaAirguns.com - KWC Desert Eagle .50 & Sigma SW40F Blowback Airsoft Pistol Review. This is a table top and shooting review of both the KWC Desert Eagle .50 and Sigma SW40F CO2 Blowback Airsoft pistols. I show you around the guns and walk you through their basic operation and handling. I also test them both out on Chrony Chronograph to see what the real world fps velocity actually are and I also shoot them from 20 feet out on a target to see what kind of accuracy you can expect with both fine Airsoft pistols.